Whether real, imaginary or extinct, the animals who rule this domain bring to life a day of adventure into the mystery, marvels and thrills of Disney's Animal Kingdom Theme Park. It's a wild animal park. It's a zoo. It's a theme park. 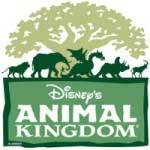 Animal Kingdom is the latest of the large complexes to be built at Walt Disney World. It's full of exotic animals that roam freely over and through grasslands, wetlands, and desert areas. Take your own food, Disney's Animal Kingdom can be expensive. A hands on encounter with different types of domesticated animals that includers goats, sheep, llamas, chickens and other critters. Touch and feed your new pals in this petting zoo that offers activities covering animal issues. Meet knowledgeable animal handlers, see animals close up and learn about their veterinary care, research and food preparation that are part of the daily activities in Disney's Animal Kingdom theme park as you develop awareness for animal conservation. Follow this footpath full of living plants and animals that have survived since prehistoric times. See a giant Pachycephalosaurus dinosaur that lived 65 million years ago and become a paleontologist who discovers fascinating fossil dig sites. Pose for photos with an amazing 13 foot tall, 40 foot long skeleton reproduction of the largest, most complete Tyrannosaurus Rex ever discovered. Dino Sue is a replica of a 67 million year-old dinosaur found in Black Hills, South Dakota in 1990. Get settled into your CTX Time Rover for a race against time. The mission: Go back 65 million years to capture a mild mannered dinosaur without getting caught in the jaws of the angry, carnivorous and hungry Carnotaurus. Then you have just 60 seconds to escape! Make your way down peaceful jungle paths, over wooden foot bridges and through cave like tunnels to observe and photograph a rich variety of exotic wildlife, including lemurs, kangaroos and Galapagos tortoises. Get on board this high altitude, high speed roller coaster train and hold on tight through daring drops, hairpin turns and a close encounter with the infamous Yeti. Show off your skills on carnival style, dinosaur themed games that are fun for all ages. Win prizes at Bronto Score basketball, Comet Crasher goblet toss, Dino Whamma mallet strength game, Fossil Fueler water squirt and Mammoth Marathon racing derby. Make your way along this informative adventure trail and enjoy the antics of one of the most endangered primates in the world: the tiny cotton top tamarins. Named for their flowing hair, these South American monkeys are very entertaining! Put on a pair of Bug Eye glasses and immerse yourself in a spellbinding 8 minute, 3-D movie and multimedia show hosted by the ant Flik from Disney·Pixar's A Bug's Life. Ride a sprawling raft on the churning Chakranadi River through an Asian rainforest. First, ascend 90 feet past picturesque, lush jungle and jasmine scented mists, then drop into gushing geysers and drift under refreshing waterfalls. The 6 intriguing clubs found throughout the theme park let kids explore nature's wonders through such hands on experiences as constructing dinosaur bones, going on a scavenger hunt and becoming a wildlife detective. Witness the exotic animals of Africa up close as they traverse the savanna as you ride in a rugged open sided safari vehicle. No two safaris are the same as giraffes, lions, antelope, rhinos, warthogs, zebras and other stunning species roam the land. Venture into the wilds of the mystical Anandapur Royal Forest of Southeast Asia, a land where you'll encounter majestic tigers, a Komodo dragon, a Malayan tapir, wild bats, deer and over 50 species of exotic birds amid ancient ruins and murals. A self guided tour through a lush, tropical "place of enchantment" and see such exotic wildlife as gorillas, hippos, okapi, naked mole rats, meerkats and many species of exotic birds. Travel in your own time machine back to when meteors wiped out the dinosaurs! Cars rotate as they speed along the track through hairpin turns and tight curves on this carnival style, spinning roller coaster. Small kids become paleontologists on this sandy, dinosaur playground where they can excavate fossils, climb through tunnels, play a tune on the "xylobone," wind their ways through a giant, multilevel maze with slides and much more. Watch for the Parma wallaby, tree kangaroo, giant anteater, sloth, Chinese deer and exotic birds on lush, tropical garden pathways just inside Disney's Animal Kingdom theme park! Shady trails, meandering streams and waterfalls transplant you to Africa. This 14 story, 50 foot wide tree is the centerpiece of Disney's Animal Kingdom Park. Stroll the Discovery Trails around the tree and observe lemurs, rhinos, tigers and hundreds of other animals carved into it. And don't miss the show inside! Younger kids can take a leisurely flight aboard a friendly three horned dinosaur that they make go up and down as it coasts in a circle past cartoon comets and other dinosaurs. Board a rustic African train that runs 1.2 miles between the Harambe, Africa and Rafiki's Planet Watch areas. See animal housing and care areas for rhinos, elephants and other species on your journey across the savanna. Designated outdoor meet and greet areas for some popular Disney Characters to gather, pose for photos and sign autographs in the Camp Minnie-Mickey area. Meet and greet places for Disney Characters to gather, pose for photos and sign autographs in Disney's Animal Kingdom theme park. A 30-minute big-as Broadway musical stage show based on The Lion King movie, is performed in an indoor, air conditioned theater in the round in the Camp Minnie-Mickey area. A 30-minute musical theater adaptation of Disney·Pixar's movie, Finding Nemo, that will amaze audiences of all ages, is performed in the Theater in the Wild at the DinoLand U.S.A area. A 25 minute live show that features 20 species of birds including hawks, macaws and eagles. This show is presented several times a day in a covered theater called the Caravan Stage. Mickey's Jammin' Jungle Parade features popular Disney Characters, elaborate animal puppets, stiltwalkers, drummers, safari vehicles, and nearly 60 Cast Members. This magnificent menagerie winds through the streets of Disney's Animal Kingdom theme park in the afternoon. Mickey's Jingle Jungle Parade features popular Disney Characters and their safari friends in Disney's Animal Kingdom theme park. This seasonal afternoon event blends the spirit of the savannah with the spirit of the holidays with special seasonal music and merriment.